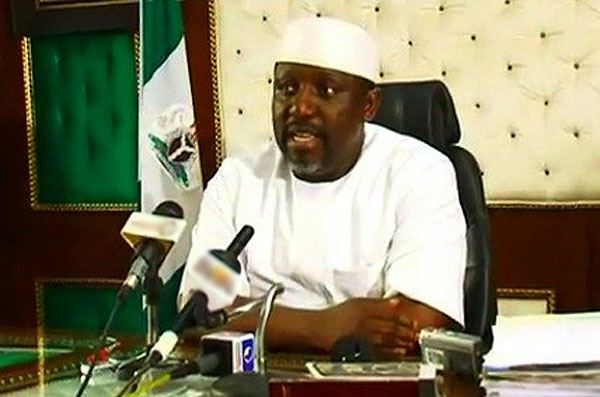 An Igbo leader and member of the Board of Trustees of the All Progressives Grand Alliance ( APGA), Chief Rommy Ezeonwuka, has hinted that APGA would treat Governor Rochas Okorocha of Imo State as a saboteur during the 2015 governorship elec­tion in the State, if he failed to return to the party before the elec­tion and apologise for his wrong political calcula­tions. Speaking to newsmen at his Rojenny Games Village, Oba in Anambra State, at the weekend, Ezeonwuka said Okorocha made the biggest mistake of his life by defecting from APGA to the All Progressives Congress (APC). He rea­soned that such a political miscalculation was capable of costing him a second tenure in Imo Government House in 2015. He insisted that Okoro­cha must swallow his pride, return to APGA and apologise for his misdeeds or he should forget a sec­ond term bid as APGA had concluded arrangements to treat him like a saboteur when the day of reckoning comes. On the ongoing legal tussle between Chiefs Vic­tor Umeh and Maxi Okwu over the national chair­manship of APGA, Ezeo­nwuka declared that “the emergence of Maxi Okwu is like a 419 deal”, adding that Okwu could not have emerged as national chair­man when Umeh’s tenure had not expired. On the current on­slaught against criminals in Anambra State, Ezeo­nwuka praised Governor Willie Obiano for the bold initiative,urging that the tempo should be sustained until all criminals were flushed out of the State. He appealed to Obiano to install security cameras in all nooks and crannies of the state, and urged the public to always give useful information that could lead to the arrest of criminals to only senior police officers. This entry was posted in News, Politics and tagged We’ll treat Okorocha As Saboteur In 2015.